Walgreens announced its plans to open a new office in Chicago where it anticipates 1,800 people will be based. 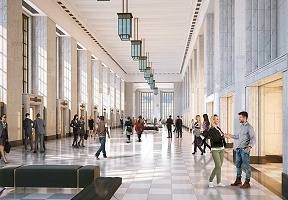 The new office space will include approximately 200,000 square feet in The Old Post Office building, 433 W. Van Buren St. On Monday, Walgreens unveiled renderings of the future office at an onsite celebration with Mayor Rahm Emanuel and Walgreens employees. 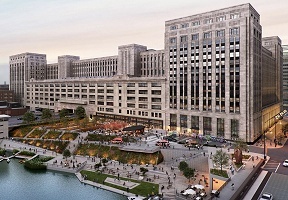 The Old Post Office building allows Walgreens to increase its presence in Chicago, where the company was founded in 1901, in order to meet the needs of its current and future workforce while continuing to attract and retain the best talent. The 1,800 people expected to work at the new space over time will include approximately 1,300 positions that will relocate to the City of Chicago. When renovations are complete, the new office space in The Old Post Office building will serve as an additional office location for Walgreens. Digital and IT operations employees supporting the Walgreens business, as well as some Walgreens Boots Alliance global IT personnel, will be located in the new office space. The new office at The Old Post Office is anticipated to open in fall 2019.